Happy Wednesday to you. I have been working on a few bee blocks for a new - well kind of new - quilting bee. 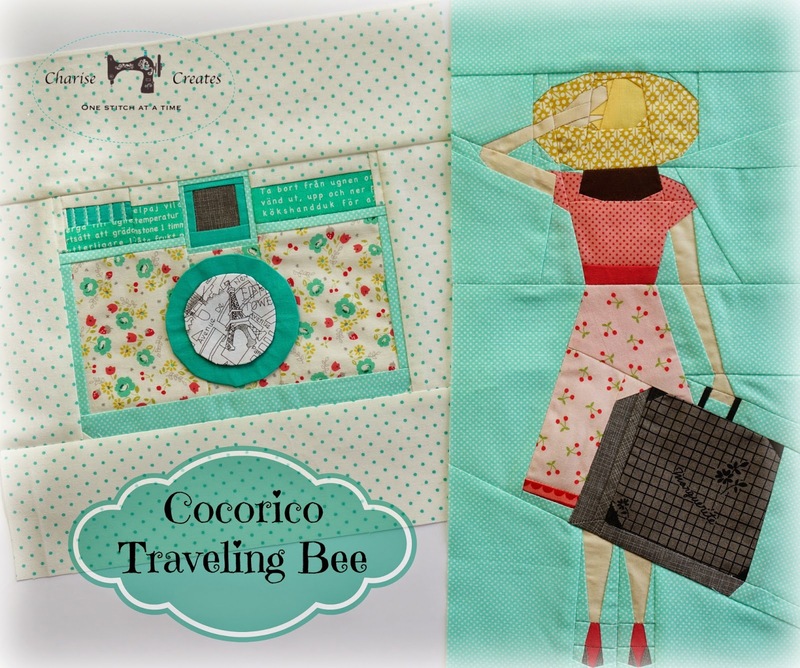 The Cocorico Bee was one of the first online sewing bees I joined. It is a paper piecing bee and that is where I found the technique of paper piecing. 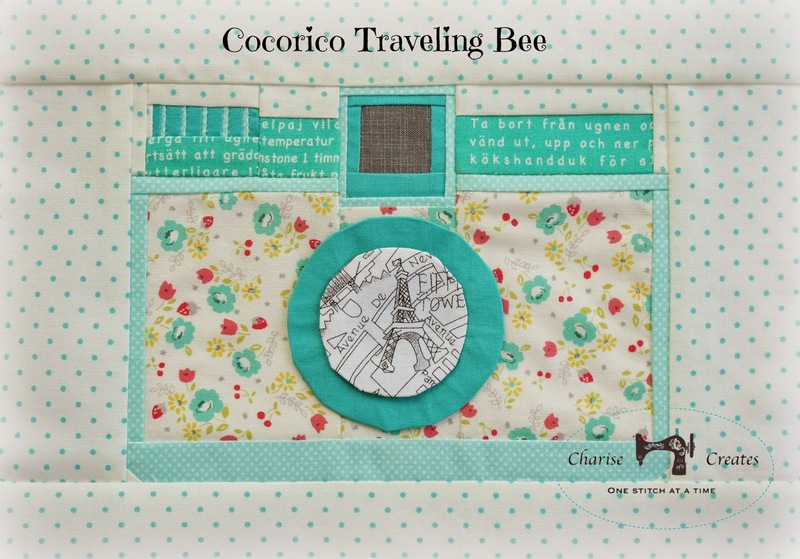 Months ago I thought it would be fun to start a spin off bee with the ladies from the Cocorico Bee to start a traveling bee. It is a round robin where we send the start of our quilt to one person in the bee. It makes it's rounds and ends up in our hands again as a finished quilt top! There have been some great traveling quilt groups started and I have been admiring their pics on Instagram and Flickr. The second block was made today - a camera block - since every adventure girl needs a cool camera to record her adventures. I think she has already traveled to Paris - I spy the Eiffel Tower in the lens! The text and floral fabric is from a new line from Kokka called Lighthearted designed by Ayumi from the Pink Penguin blog. I think the floral is my new favorite fabric! Check back tomorrow for the next installment of the Anna Blouse Sew Along - Putting the pattern together. We will start sewing her up next week. 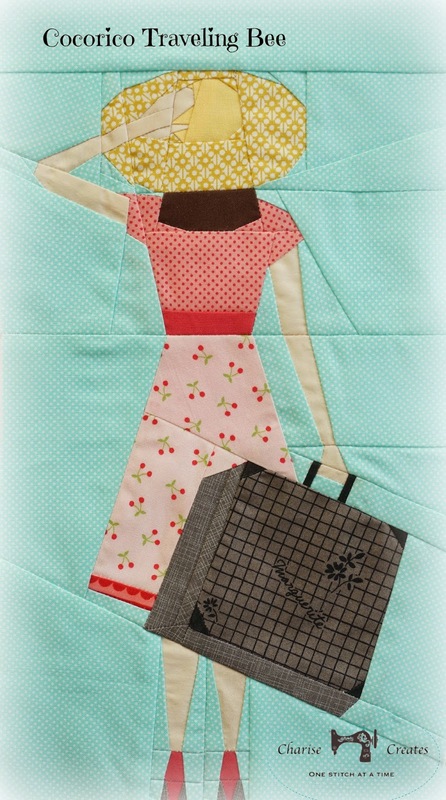 Be sure to check out the other fab WIP Wednesday projects over at Freshly Pieced. Super cute blocks! I love that fussy cut in the camera lens! I just love these blocks! You are a master at paper piecing. Oh, these are superb! You're such a great designer, as well as a marvelous sewist! I hope you'll send the photo of the girl with valise to Suzuko Koseki's blog/shop. I'm sure she would love to see it. Cute blocks! I like the fussy cut Eiffel Tower.